You need a rashguard. I don’t care where you train, if you only train gi or no gi, you need a rashguard. Now, some of you out there might have a wrestling background, or perhaps something with looser standards and mores in regards to clothing. Someplace where the guys in the gym seem more than ready to take off their shirts to roll. Actually, this review is ESPECIALLY for you. 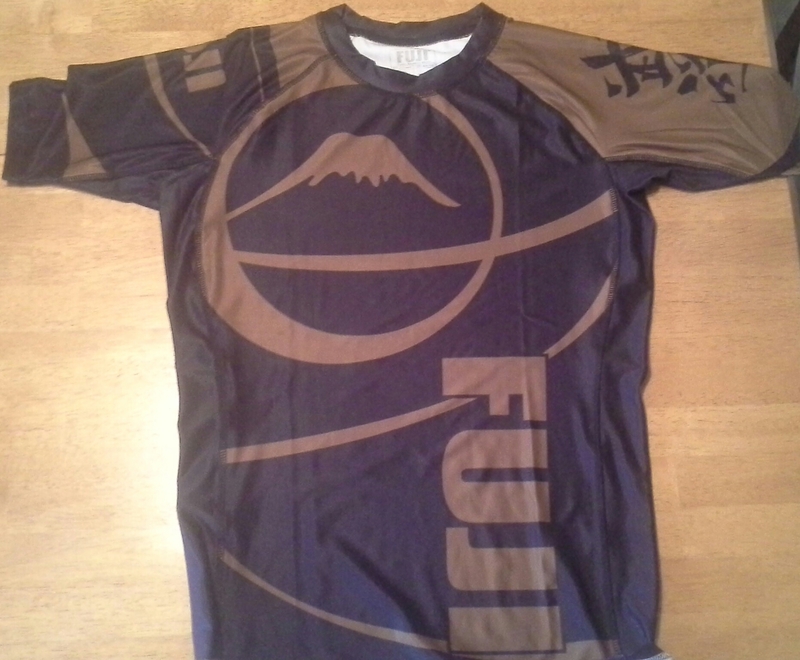 As you can tell from the picture, the Fuji Freestyle rashguard is an IBJJF approved ranked rashguard, which is nice, since it’s one less thing to worry about and seems to be the route that many rashguards are starting to take. Reinforced stitching, like the stitching found in the Freestyle rashguard, is a must. Early on in my grappling journey I went for cheap, something I could get at target or Walmart or for cheap at a sporting goods store. A lot of the time it was Under Armor or some version there in. The problem is that those rashguards aren’t made for grappling, they are made just to exist and be sold, functionality is rarely a concern. So what you get, to paraphrase The Bard is "a guaranteed piece of sh-t". Actually, it's not guaranteed, I just really like Chris Farley and wanted to shoe horn a reference in here somewhere. These are the rashguards you wash a few times then pull it out and there's a tear in the sleeve if it's not missing outright. Don't sacrifice quality to save a few bucks when the investment will last you for years. I sweat. A lot. Like, a lot. I sweat like I’m guilty. I don’t know why, it’s just how I roll. That being said, regardless of how much you may sweat, you are going to be rolling around with other people, other people who sweat. As such, germs get spread and they like to hang around, if for no other reason than to stink up your gear, let alone spreading other nasty stuff. Sorry for getting all science-talk there. Having been rolling in this rashguard for the last few weeks I can tell you, this rashguard doesn’t stink. I’ve worn other brands, brands I won’t list hear that stink the moment you put them on, but the anti-microbial fabric used in this rashguard is doing it’s job. This never used to matter, then I bought a couple rashguards that didn’t fit very well. I mean the neck was really tight, which is perhaps the most annoying thing to me in a rashguard. And I’m not talking about being tight to the skin, like the Freestyle is, but actually constricting, more like’s it’s a turtle neck. The Freestyle rashguard is form fitting, but made to fit comfortable without add constriction or the unwanted desire to adjust the neck or sleeves. Speaking of the sleeves, I prefer a short sleeved rashguard, I always have, not sure why. Regardless, the problem with a lot of short sleeved rashguards is that the sleeves are often either too short and tight, or too long and loose, fitting more like a t-shirt. The sleeves on the Freestyle go down about to the elbow and have a snug fit so they won’t roll or bunch up into the armpit.